Established in 1988, the Carers Centre for Brighton & Hove is a local charity which aims to make a positive difference to the lives of unpaid family carers by enabling them to fulfill their own needs as individuals and offering them appropriate support to achieve a balance between their lives and caring role. The Centre works with young and adult carers aged between 6 and 90+ in Brighton & Hove. Carnival Collective boasts 30+ musicians and delivers an irresistible tidal wave of energetic music. Sometimes described as a 21st Century Big Band, the CC sounds range from live drum'n'bass, reggae and jungle to cumbia and swing, and are played on a vast bateria of Brazilian drums, with a fat horn section and dirty bass-lines, topped with beautiful vocal harmonies. Guaranteed to blow any club or festival away! Cascade exists to support people to maintain their recovery from addiction. We are a Charitable Incorporated Organisation with trustees and a peer-led working group. Cascade is all about informing, empowering, connecting and creating. If you want to find out about volunteering with Cascade, or have any questions about volunteering with us, please email volunteercascade@gmail.com. We offer free Welfare Rights Advice, support and representation at all levels to benefits claimants in Brighton and Hove. We also provide employment advice. We organise free Christmas events and Easter/summer outings for families on low income and refugees. We run a social space in Hollingdean which has helped numerous individuals and families to overcome their isolation and create contacts in their neighbourhood. We offer tea, coffee, free clothes, books, DVDs and bric a brac and run an ongoing baby loan service. We have also organised an info library to direct people to other services in town. The Centre for Ecotherapy provides support for vulnerable people in the local community, aiming to improve and maintain well-­being through the use of nature-based and horticultural therapies, mindfulness and practical activities. Health & social care charity: substance misuse, homelessness, young people & families and criminal justice services. 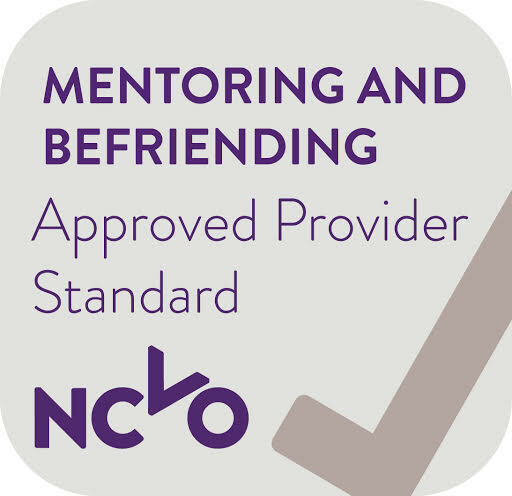 Volunteering and peer mentoring opportunities. 1-1 Support appointments/phone contact which provides tools and skills to Mental Health carers which helps build healthy, effective and independent relationships for all.